Sadegh Gheisari, journalist and student of Shahid Beheshti University was sentenced to seven years in prison, 74 lashes, a two-year ban that prohibits the student from traveling abroad and engaging in press activities, after being tried without a lawyer. Judge Abolqasem Salavati, known for issuing harsh sentences in cases involving politically motivated charges has issued the verdict. 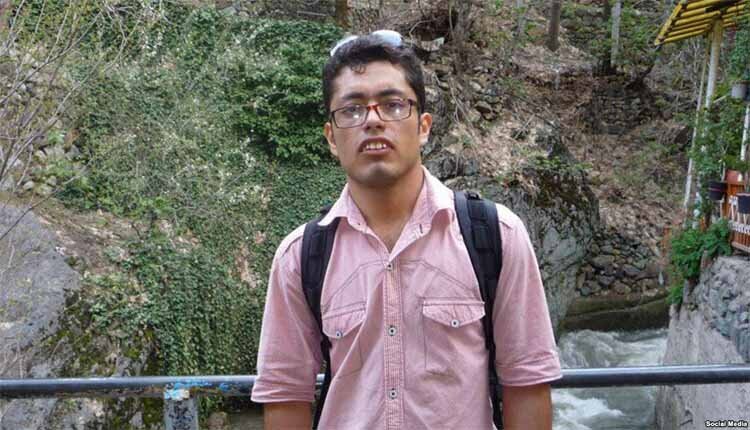 Sadegh Gheisari was arrested on February 19 covering clashes between members of the dervish community and security forces supported by plainclothesmen. Mr. Qaisari, who during the hearing did not have the opportunity to introduce a lawyer to defend himself, said he is not a dervish, and only went to the Pasdaran Street to prepare a report. He also informed one of his close relatives that he does not have a good physical condition due to the beatings made during his arrest and has been suffering several nerve attacks in his sleeps. The dervishes were protesting the arrest of members of their religious order, as well as widespread rumors that their 91-year-old leader, Nourali Tabandeh, would soon be detained by police, despite assurances by the authorities that they had no such intention. The state forces opened fire on protesters in the Golestan St. neighborhood of Tehran, sending some 170 dervishes to the hospital according to Sufi reports. Mr. Gheisari was beaten and suffered a severe blow to his head at the time of arrest and needs medical treatment which is not offered regularly in Iran’s jails.